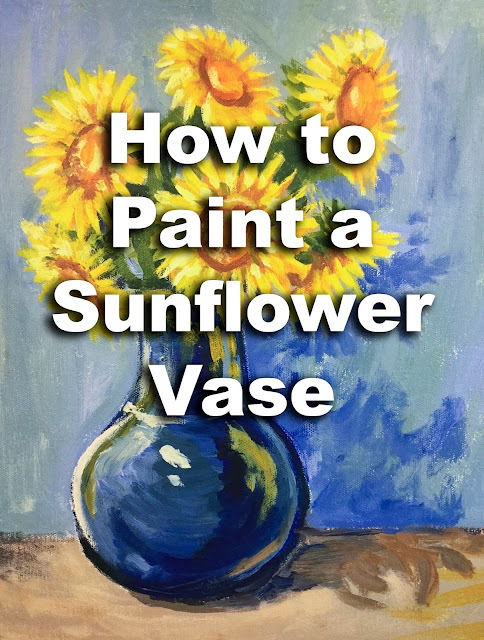 This video is a step by step narrated tutorial on how to make a sunflower vase still life. We use basic painting techniques and instructions that are easy to follow. Don't worry if you don't have painting experience or don't feel like you're good at art. I'm convinced that if you follow these steps, you will be able to create a painting that looks very similar to this one. Art makes a great personal gift for special occasions. Don't just buy someone flowers...paint them flowers!